Language Log » Throw a language party! 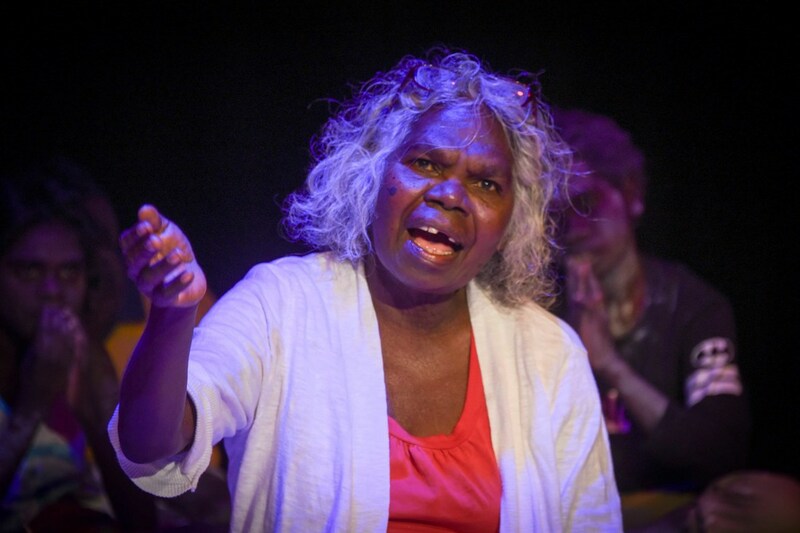 Magdalen Kelantumama telling the story Murtankala, The Woman Creator, Tiwi language, Australia, Darwin Fringe Festival, July 2017. And the message isn't just a story to be translated and digested, as though language were merely a tool for communication, and linguistic diversity no more than a barrier to be overcome through translation. Audiences experience Language as art, music, spoken soul. The thread of each story linking us back to the ancestors. Language connecting people to country. Each language a treasure for the whole of humankind. A language's emblematic stock of untranslatable words. Today, speakers of endangered languages are found in urban centres across the world. This presents an opportunity to gather and listen to them, embrace the diversity in our midst, and create new ways and new places for people to belong. A special reward awaits: we all come to belong in our place in a new way. The good news is that the world is still home to 4,500 vigorous languages. 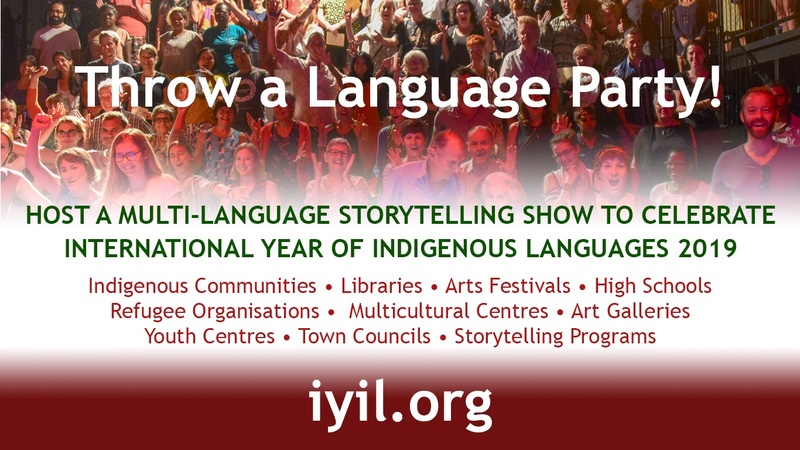 Celebrate with us, and throw a language party!